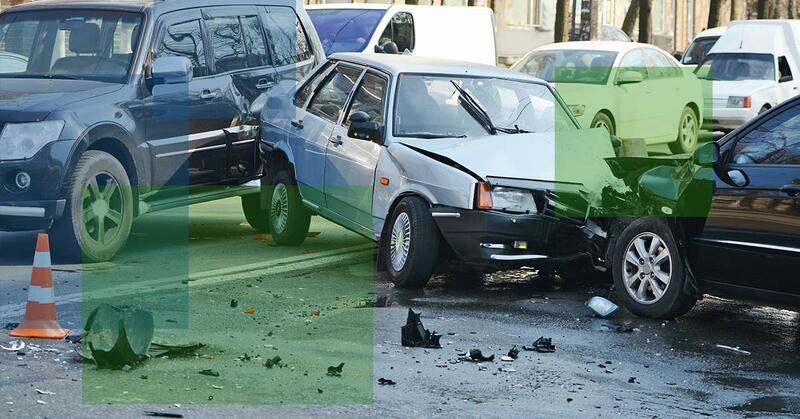 If you caused a car accident, it’s easy to feel bewildered and unsure about your next steps. Everyone makes mistakes and can cause a car wreck, even if was truly a fluke. The Law Offices of Alex R. Hernandez Jr., PLLC understand that accidents happen and that you can cause a car wreck, but we’re here to help. With an incredible team of attorneys to review your case and offer legal advice and counsel, you will be treated with utmost respect and compassion. Contact us today for a free case review! Don’t talk about how the accident happened or what you were doing leading up to the accident. Don’t get into a discussion about who could be at fault. Don’t say “I’m sorry” or anything else to anyone involved in the wreck that could be misconstrued as admitting fault or ownership of the accident. Don’t ask the driver how fast he or she was going, if he or she was using a cell phone, or anything else that hints at fault and disregard these questions if they are pointed at you. Don’t get into an argument with the other driver. He or she may be angry and frustrated and interested in picking a fight. If there are accusations or angry words pointed at you, remain polite but don’t engage. If you and the other driver are able to speak, it’s best to ask if the driver and passengers are hurt, exchange contact and insurance information with both the driver and the passengers, and then cordially inform him, her, or them that you will wait to speak to law enforcement and then cease all speaking until the police arrive. Try to not make small talk or ask him or her about how his or her day is going. It can be easy to slip up and accidentally admit something that you shouldn’t. If the situation is tense and the other driver continues to accuse you, you can can walk away or sit in your car to put more distance between you and the other driver and hopefully calm the situation down. Once law enforcement arrives, the police officer will know tactics and methods to diffuse emotions. Many states require that law enforcement be notified as soon as an accident occurs, even if no one is injured or in need of medical attention. Even if it’s only a minor bump or fender bender, go ahead and place a call. Given the circumstances, law enforcement may or may not respond, but calling the police will cover you and the other driver and passengers in case there is an issue that occurs after the accident. Notifying law enforcement will also allow you to tell an officer if you feel uncomfortable around the other driver or if you feel that an officer coming to the scene will help to calm a tense situation down. While you may be afraid to talk to a police officer if you’re at fault for an accident, law enforcement deals with car accidents every day and will be able to advise the situation. Whoever arrives to the scene will also be able to direct traffic, explain next steps, and even wait with you and the other driver and passengers until a tow truck arrives. With all of the advances of modern technology, you can utilize the camera on your phone to provide evidence to law enforcement, insurance agencies, and lawyers.. As soon as you’re certain that you, the other driver, and any and all passengers are alright, snap several photos of the damage to both cars, the accident scene, the contact information that you’re given, and the license plate of the other vehicle. You can also take photos of street and speed limit signs and other traffic control devices if applicable to the accident. Don’t forget to snap a photo of skid marks or holes in the pavement if they are there. If the accident occurred in front of a store, restaurant, or office building, getting information and eyewitness accounts from the individuals inside these establishments will also help your case. If you can, get the name, phone number, email address, and statement from as many people as you can. If you can’t find a pen and piece of paper, use the voice recording function on your cell phone. Don’t force the witnesses to talk if they don’t feel comfortable giving a statement or possibly being contacted by a lawyer to give further information or even testify in court. If law enforcement does come out to the scene, the officer will ask what happened. Before they arrive, take a moment to review what happened in your mind and form answers to some of the questions you imagine that you will be asked. When the police officer questions you, your answers will be calm and collected and you’ll be able to give accurate answers. Don’t argue with the officer or appear defensive. Be honest, understanding, and if you don’t comprehend a question, ask for clarification. This will help you to understand the next steps you should take. After you have finished speaking with law enforcement, place a call to your insurance agent. He or she will be able to help you with the next steps after your accident. In every insurance policy, there is a requirement that you cooperate with the agency. If you don’t cooperate, you can be denied coverage. Don’t run the risk of losing your coverage. Call your agent as soon as possible, tell him or her that you might be at fault, and explain everything that happened. Contacting a lawyer, especially if you’re at fault, is also extremely important. An attorney will be able to help you make the right legal decisions and so you won’t accidentally make mistakes that could jeopardize your coverage. Also, because you’re at fault, your lawyer will be able to talk with your insurance company and negotiate what steps need to happen next. Also, if a personal injury claim or lawsuit is brought against you, a seasoned attorney will represent you in court and protect your rights. Being stressed out won’t help your case at all. It’s overwhelming when you know you’re at fault for an accident, but letting your emotions get the best of you will only cause you to be more frustrated and irritated. Everyone makes mistakes and admitting fault, being honest, and finding an excellent lawyer to help you with the legal issues will help the whole process to run more smoothly. Being embarrassed and overwhelmed is normal and to be expected if a car wreck is completely your fault, but calming your emotions and doing your best to work with everyone involved in the case will expedite everything. At The Law Offices of Alex R. Hernandez Jr., PLLC, our lawyers understand how frustrating it can be to deal with a car accident, especially if it’s your fault. Stop stressing out and call us today. With offices in Corpus Christi and in Victoria, we have the legal advice and help you need to navigate this difficult time. Call now!